Food and drink holidays are a little overwrought. Since human beings need to eat and drink on a daily basis, these holidays are superfluous, and often feel like a marketing ploy more than anything else. Having said that, May 25th is National Wine Day, and if one reason to actually participate in this holiday is to try a new, meaningful wine, why not have a go at wine that gives back? Here are six labels who give back to charities, a feat worth celebrating whether it’s National Wine Day or not. Co-founded by musician Dave Matthews, The Dreaming Tree promote sustainable and environmental efforts. For every bottle sold, a portion goes to environmental conservation groups, one being the Wilderness Society and Living Lands & Waters. On top of giving back to the environment, the wines set out to minimize their effect on the land, with a recyclable cork, a label made from recycled paper, and less glass used for the bottle. Tuscany is famous for its wine and its fine art. Appropriately, Tuscan winery, Ornellaia, blends those two worlds together by working with the Vendemmia d’Artista project since 2009. For part of the project, each year a contemporary artist will create an impactful wine label for the winery, and the sales of those artistic labels goes back to support artists. Through this project, they have raised over $1.7 million for museums and foundations, from New York, to London, to Hong Kong. Renowned winemakers, the Mondavi family, present Purple Heart Wines together with Vietnam Veteran and Winemaker Ray Coursen. Named after the military Purple Heart, the label honors the nation’s veterans, with proceeds benefiting the Purple Heart Foundation. These beloved South African wines give love back to the little ones. 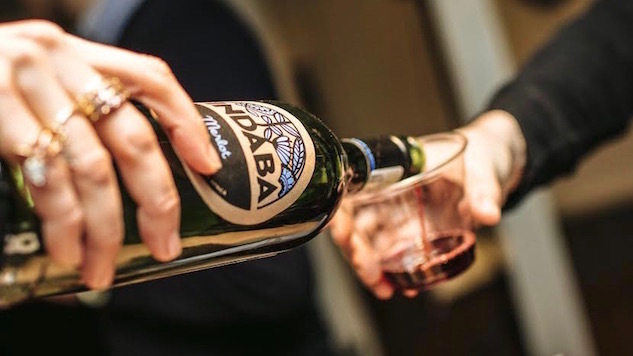 Fifty cents of every sale of Cape Classics will be donated to the Indaba Education Fund, which supports early childhood development in the Stellenbosch region, the most beloved wine-growing region in South Africa. ONEHOPE Wine was founded on the basis of giving back, with 50% of all profits going to different charities. The Cabernet Sauvignon helps to provide ABA therapy treatment for children with autism, while each bottle of the fun Rainbow Sparkling Brut supports the Trevor Project Lifeline, which provides support for young LGBTQ adults and teenagers. Located in Napa Valley, Humanitas winery was Founded by Judd Wallenbrock in 2001 with the specific goal to give back to the less fortunate. A portion (7%) of revenue goes to help those with health, hunger and housing needs. So far, the label has raised nearly a quarter of a million in donations.